For instance, you might say, "I just wanna sing my heart out", or "I play drums but I want to make beats and sing too", or "Play guitar, no singing please!". Are you available Thursdays, 4 - 6pm? We want to know you can be a part of the band! Yes, I can come to rehearsals. No, I can't make it. But let me know about other musical opportunities at LOST IN BOOKS! Thank you! 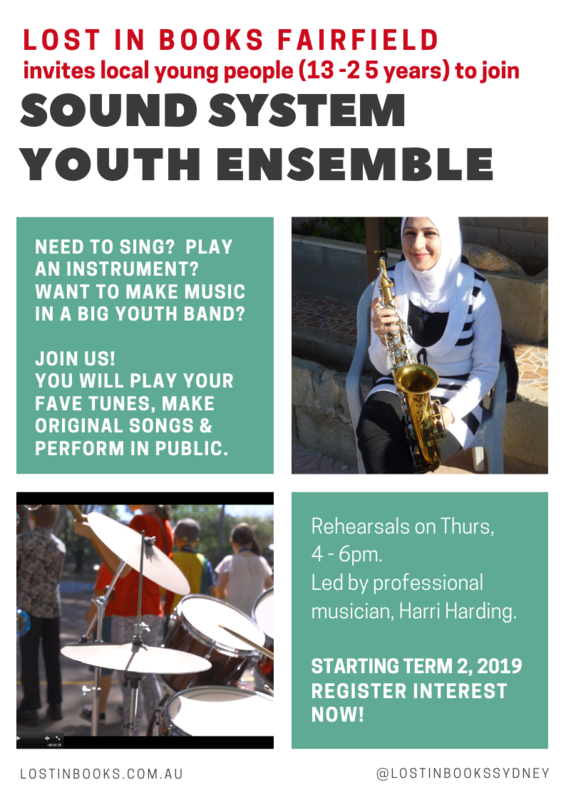 We are delighted to welcome you to SOUND SYSTEM Youth Big Band. Let’s get the fun started!